The drawing of trees in a garden. 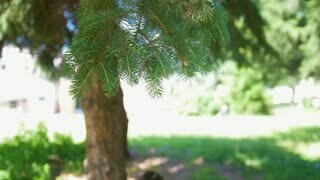 Little girl sitting under the tree and drawing in notebook at park. 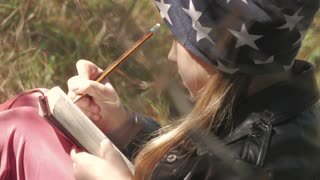 Beautiful little girl draws outdoors lifestyle. Child drawing in Autumn Park. Creative kids development concept.